Photo by Frank Horwoot, MoBot. Synonyms: Lasiostelma nanum, Friedrich Richard Rudolf Schlechter 1905. Photo by Chris Moore. 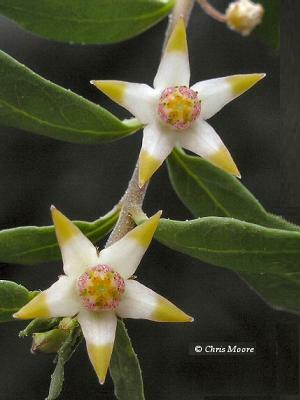 This member of the Asclepiadaceae family was given this name by Nicholas Edward Brown in 1908. 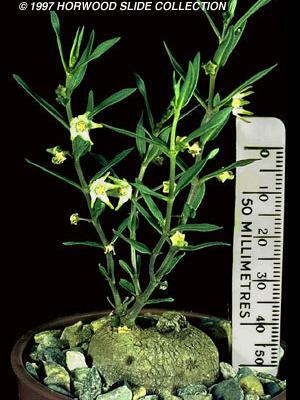 It is found in South Africa and Namibia, growing in a well drained soil with some water and some to lots of sun. The caudex can grow to five centimetres in diameter, the stems from five to twenty centimetres long. The inflorescence are white and greenish yellow.